30th June 2016, Mumbai: d2h (NASDAQ, USA: VDTH) announced that it is launching a new active service- Smart Cooking in tie up with Hungama. Smart Cooking will have classic and innovative recipes catering to meals and snacks. Recipes will have vegetarian and non vegetarian dishes as well. The Chef Special section is powered by celebrity chef Ranveer Brar and the other sections would see handpicked recipes across. The service is launched in partnership with Hungama, it is priced at Rs. 45 per month. Under Smart Cooking, India’s best known and most enjoyed culinary dishes, desserts and the signature spicy curries etc will be on display. Mr. Saurabh Dhoot Executive Chairman, d2h said, ""With launch of Smart Cooking, we are strengthening our proposition of being more than a provider of TV Channels. This new Smart service reaffirms our commitment of growth through innovation by providing unique content not available elsewhere. With this launch we strengthen our Smart TV content we will continue to grow and differentiate in this area in coming months""
Mr. Anil Khera CEO d2h, ""This Smart Cooking application being launched in partnership with Hungama is a result of our deep understanding of the preferences and needs of our consumer. This rich media interface and depth of the content in Smart Cooking is designed to appeal to diverse segments from homemakers in cities to women in villages"". Mr. Siddhartha Roy, CEO, Hungama.com said, ""Culinary experiences are a vital part of Indian preferences and is the seed of our foray into developing and packaging cookery based content. We are very excited to partner with d2h to deliver this service after delighting our users with entertainment content like movies, music and much more."" 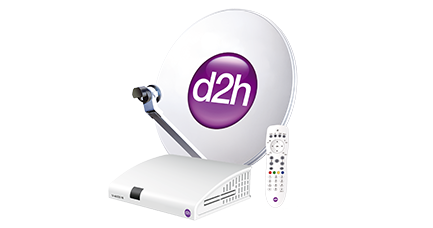 d2h is India’s fastest growing DTH service provider which offers over 600 channels and services. d2h is launching HD Smart Connect Set top Box (Connected Set top box) which converts your existing normal TV into a Smart TV. The Connected set top box allows one to browse content from Facebook, Twitter, Daily Motion, video on demand sites, news sites, weather sites, etc through applications residing on STB. Powered by the MPEG-4 and DVB-S2 technology, d2h transforms your TV into a hub of entertainment and knowledge. It offers a wide range of active services including Smart English, Smart Games. The other active services include d2h Hollywood HD, d2h music, d2h spice, d2h cinema in both Standard Definition and HD, etc. It launched India’s first 4K Ultra HD DTH channel service. d2h offers India’s first Radio Frequency Remote Control. 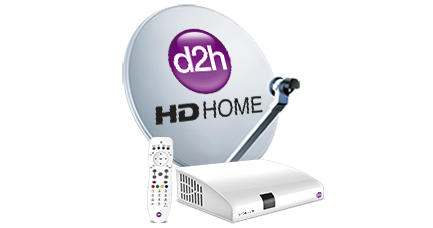 d2h also offers 45 ""HD"" channels and services. d2h has a pan India sales & distribution channel, superior service orientation & a track record of introducing technologically innovative product and service offerings. d2h has over 300 own service centres spread across 7500 top towns in India to attend and resolve the service issues within 4-6 hrs. SMART Services, a value-added bouquet of learning activities and games includes Smart Kids, Smart English and Smart Games, all available on subscription basis. Smart English is for an interactive way to learn English. Smart Kids will cater to toddlers and kindergarten kids with nursery rhymes and stories, it also has science videos for the grown up children. 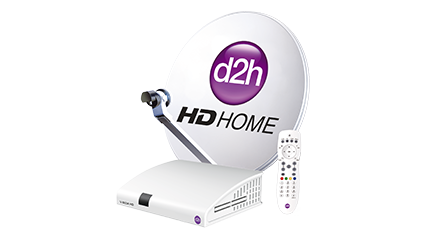 Smart services of d2h has something good to offer for every member of family right from an infant to housewife.